We have to admit that we’ve had a pretty monster year so far and we’re hoping that this progress continues as we work towards achieving our ambitious targets. With some particularly exciting plans in the pipeline, and further updates to share, it’s a case of watch this space. 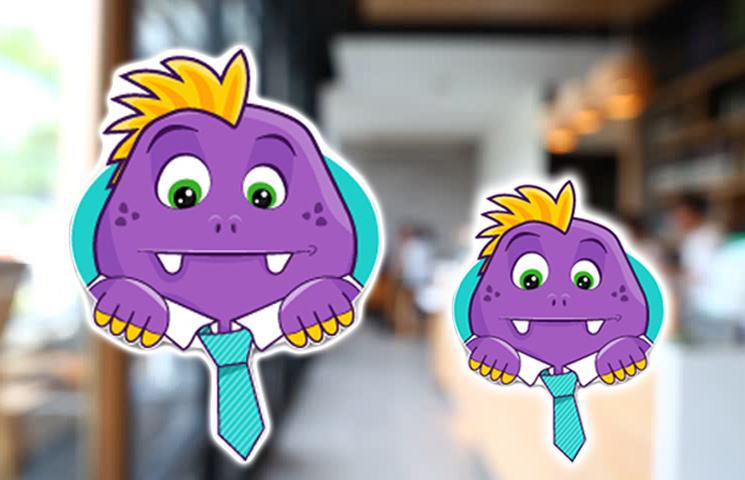 In other news, we have an extra special announcement that we can make: It is with huge excitement that we offer our heart-felt congratulations to Ryan and Hannah from the team, who have welcomed a little Office Monster cub to their growing family. To celebrate the new arrival (who has lungs to rival even the most avid office karaoke queen) we thought we’d pull together a list of office essentials – which can also double up for those who, like our very own Ryan, are battling sleepless nights, a potential case of perforated eardrums and a whole host of other challenges that come with caring for the Office Monster talent of the future. On the subject of sleepless nights, it probably goes without saying that caffeine is a crucial supply which has the power to transform even the most sluggish of staff into super heroes – which, might we add, is a skill that is never in short supply when the younger members of the tribe are in town. What’s more, with a variety of hot and cold drinks supplies, your office can be prepared for any eventuality. For those days when caffeine alone doesn’t quite cut it, we also have sweets, biscuits and other truly life-saving snacks which will help to keep you going throughout the afternoon and into those long evenings ahead *yawn*. We all know that offices – and babies for that matter – really should come with a warning sign. Whether it’s Brenda the cleaner leaving a mopped floor unmanned, or the baby – well, doing what it does best – we have a number of warning signs to keep you compliant in slippery scenarios. If the spillage isn’t confined to an easily moppable surface, we also have a range of cleaning products which will keep the office spick and span whatever the dilemma. We wouldn’t recommend the anti-bac for the baby, but the toys and playroom may benefit! Now, we understand that tiredness is a challenge that is not easily negotiated so, if you weren’t quite quick enough with the warning sign, you can always fall back (we know, we know…) on our range of first aid kits which are an essential for every busy workplace. And remember, if all the commotion really does get too much it may be time to invest in some noise cancelling headphones or trusty earplugs! For shop floors these are compulsory, but for parents it may simply be about getting a bit of peace and quiet when you need it the most – you’re welcome! Finally, since we really know how to celebrate here at Office Monster, we thought we’d offer all of our customers a special 10% off discount code, LITTLEMONSTER, which can be accessed until the end of the month. Next articleThat holiday fresh feeling from Office Monster – Yes Really!